Jensen Lee, based out of Los Angeles, is the owner of bidetsPLUS.com and one of my favorite customers here at RewardCamp. He went from working in corporate America and not knowing what product to sell to building bidetsPLUS.com into a million-dollar e-commerce business. Back in 2009, Jensen was 32 years old, working the corporate grind at AT&T Interactive, AT&T’s internet advertising division. He had a growing young family, a beautiful house, and a six-figure job that provided a lot of security. The problem was – Jensen wasn’t happy. Ever since high school, Jensen dreamed of running his own business. He kicked around some business ideas in his 20s, but never found something he truly believed in. As time went on, Jensen’s standard of living increased along with his salary. He felt the corporate noose tightening. Jensen realized – the older you get, the harder it becomes to start a business. It’s easier to quit your job when you’re 25 and making $50,000 than to quit at 40 when you’re making $150,000. The more money you make, the harder it becomes to quit your job because you’re leaving so much money on the table. This is compounded by the fact that your lifestyle increases as your income increases. So now, the cost of business failure becomes much, much greater. So if it’s your dream to start a business, start this year. While working at AT&T Jensen became interested in e-commerce but didn’t know what product to sell. That changed during a visit to South Korea. There in South Korea, he used a bidet toilet seat for the first time. A bidet toilet seat is an electronic toilet fixture that is used for washing yourself after using the restroom. He was blown away by the experience. It was significantly more comfortable and hygienic than using toilet paper. After coming back to America, he tried to buy a bidet for his house, but they were hard to find. He found a few websites that sold bidets, but they did a poor job explaining the features and how to choose one bidet over another. The average bidet sold for $500 to $900–a price point that appealed to Jensen. He wanted to sell a product that had an average sales price of $500+ because he felt it would be easier to grow a company that sold expensive, high-end products. He wasn’t interested in selling $20 items because you have to sell so many. Just a handful of $500 sales a day would be more efficient, and easier to scale. This was Jensen’s moment. He found a product he really believed in at a price point he really liked. Bidets are very common in Europe, Asia, the Middle East and South America, so he knew they had universal appeal. He felt that in the United States, it was more an issue of awareness and education. Using Google keyword search, he looked up the monthly searches for bidets. He assumed he could capture 1-2% of the monthly search traffic. 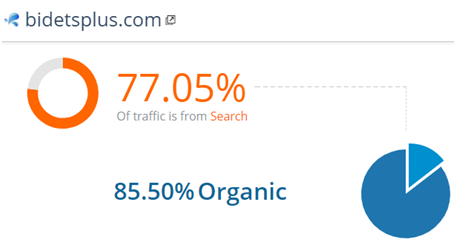 Then he applied a 1% conversion rate to the monthly seo traffic. Now he had a rough estimate of the no. of orders that his business could theoretically generate each month. Using an average unit price of $500, he arrived at a monthly revenue figure that could help to pay the bills and support his family. Finally, he called up bidet manufacturers and learned about the logistics of the market – variables such as margins, distribution, shipping, warranties, etc. What is the level of monthly demand? What is the weakness of the competition? What are the basic economics of the product (margins, warranties, suppliers, terms, etc.)? Armed with these fundamentals, Jensen quit his six-figure job and using $10,000 in savings, he launched bidetsPLUS.com in March of 2010. He found the bidet sites at the time to be very sales focused. They had very little content. They just put up the products, told you to buy, and offered a coupon. They lacked in-depth descriptions, videos, high definition pictures or comparison charts. They didn’t explain why one product was better than the other. He read their customer reviews to understand what customers valued and what made them upset. By studying the competition, Jensen was able to come up with his unique value proposition, which was to provide a content rich website about bidets that would educate shoppers as well as help them make the buying decision. 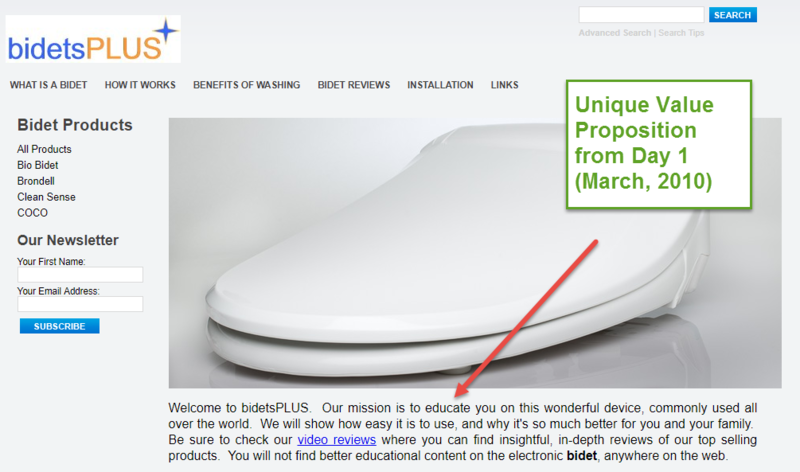 As simple as this sounds, back in 2010, none of the bidet sites offered any content. By developing his unique value proposition, his site was better than competitors from day 1, which in turn helped him to get sales early on. Jensen’s focus on building a content rich site lead to the next logical move – which was to focus on SEO as the primary method for attracting traffic. That book helped him understand how SEO worked. It also taught him the SEO tactics that were successful in 2010, which included press releases, submitting articles to article directories, obtaining directory links and link building. Jensen wrote three articles a week that first year and spent a lot of time on optimizing those articles for SEO. The SEO efforts showed promise right away. He got his first sale that first month in March 2010. But from there, it took nearly 12 more months to receive his 100th order. That’s an average of just 8 – 9 orders a month. So it was a very slow sales ramp. Looking back – Jensen said there were some dark days. But he really believed in bidets and their potential in the US market. He really believed that everybody would love them once they tried them. If he was selling something he was less passionate about, like pencils or bookshelves, he might have given up when things got hard. But itwas his conviction and belief in his product that got him through those tough times. Jensen persevered. By the 24th month, bidetsPLUS.com achieved enough SEO and word of mouth traffic to generate $50,000 in monthly orders. I mentioned earlier that Jensen had started bidetsPLUS.com with $10,000 in personal savings. That was the only time he put his own money into the business. Since then, he has grown bidetsPLUS.com using cash and profits generated by the business. 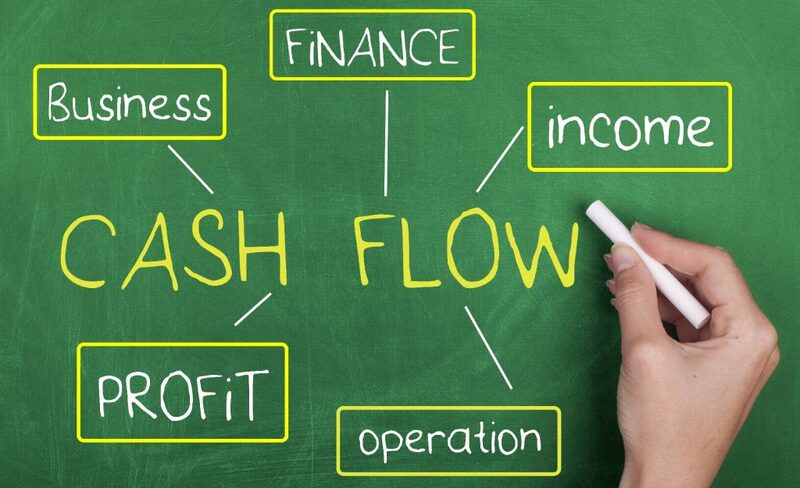 This is a rule that Jensen feels strongly about and something that he ascribes as one of the key reasons for his success – that he grew the business through cashflow instead of taking out bank loans or putting in more of his own capital. It forced him to be disciplined, to stay focused, and to try things out quickly. Jensen believes you must be able to grow the company by re-investing the company’s profits. If you are not generating enough profits to re-invest, keep grinding until you get there. It is risky to keep pumping money into an unproven, unprofitable business. Make the business prove to you, that it’s working. And the best way to do that, is to avoid taking on more expenses until the business can afford it. It requires tenacity and creativity to make sure your e-commerce business is profitable. Once you’re able to re-invest profits back into the business to fund growth, that’s when you know you’re on to something. That’s when it becomes really exciting. Jensen started looking into PPC, specifically Google ads in 2012. By then, his business was generating enough cash flow to re-invest into creating a second source of traffic. More importantly, Jensen had improved his website conversion during those first two years while focusing on SEO. Jensen’s background in AT&T was useful here. He had managed google campaigns on behalf of clients at AT&T, buying millions of clicks each month from the major search engines. He started with a monthly spend of $3,000 managing the Google campaigns on his own. He increased the ad spend only when an ad was profitable. Eventually, he would increase his Google ad budget up to five-figures a month. 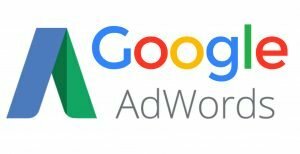 Unlike SEO, Google ads showed results very quickly. By 2013, bidetsPLUS.com had hit the $1 million revenue level, a mere 3 years after launching. It was a special moment for Jensen. His gut instinct about the potential of bidets in American had proven correct. With SEO and Google ads bringing a steady stream of new customers, Jensen no longer worried about generating new business consistently. He set his sights next on increasing repeat orders. This was particularly difficult in this market because once someone spends $500 on a bidet; they rarely need to buy additional items for several years. For the rewards program, he began offering 3% cashback rewards using RewardCamp, a loyalty app that focuses on making it easy for customers to earn and use rewards, which in turn increases their repeat orders. Interestingly – getting repeat business was not Jensen’s primary motivation for implementing RewardCamp at first. His primary motivation was to increase visitor conversion rates on the FIRST sale. He thought if he offered a 3% rewards program, it would increase the likelihood of a first time customer buying. But as it turned out, RewardCamp was great at getting repeat business too! The RewardCamp system periodically sends out e-mails to bidetsPLUS.com’s customers reminding them of their unused rewards. He also liked that RewardCamp sends a monthly report of the revenue generated from repeat orders. This was an easy way to measure the ROI (Return on Investment) of the rewards program. With email marketing, he started by sending a monthly coupon with an expiration date. Between RewardCamp and email marketing, Jensen was able to increase revenue from repeat customers by $15,000 a month. It was remarkable. And it was so easy to do. There’s a little bit of work up front but once it’s set up, Jensen says the rewards and e-mail marketing programs practically run themselves. We all know that trust is the most important factor in converting a visitor into a buyer. It becomes an even bigger factor for those who are spending thousands of dollars on paid traffic each month. Even the smallest boost in conversion translates to big gains in revenue and profits. Several factors build trust in an e-commerce website – listing a phone number, a decent design, customer reviews, etc. Although these elements impact the trust factor, what Jensen noticed was that using trust badges had an even bigger impact. Trust badges are logos from 3rd party sites that establish a website’s trust credibility. He started with implementing the BizRate trust mark in 2012. The following year he added the Reseller Rating trust badge as well as the Better Business Bureau trust mark. In 2015 he started working with Google Trusted Stores (which later became Google Reviews). Another step that made a big difference was moving all the trust badges to the footer of the website, so they could all be seen in one place. Now granted – it takes time to build up enough history and reviews to acquire these trust badges. It is something you must work at each day. But the long-term pay-off is visitors trust your website more, which in turn leads to higher conversion rates. I already told you that Jensen was writing and optimizing three articles a week when he first launched his store back in 2010. But since he was trying to educate his market, he also started creating videos about each of the models that he sold and posted them on YouTube. These videos showed how to use a bidet, the benefits of the specific model, and it gave a feel for how the bidet would look at home. Jensen implemented video SEO tactics on each video and uploaded them to YouTube. These videos helped with conversion as well as pulled in traffic from YouTube. They also helped with his search rankings. Nobody was doing bidet videos in 2010, so it also gave him an early advantage. Recently the bidetsPLUS YouTube channel hit a milestone of achieving 1,000,000 views. Building an e-commerce business does not have to be a mystery. Take a leaf from Jensen’s playbook and you too can build a million dollar business that is not reliant on 3rd party marketplaces. 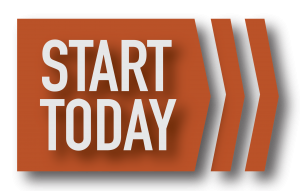 Start your business this year. The older you get, the harder it becomes to start. Plus, if your business fails, you’ll still have youth on your side to try again. Research Your Market To Lay The Foundation For a Million Dollar Business. Jensen did the research to figure out demand, the competition’s weakness and the profit margins, using nothing more than basic google search and phone calls. Develop your Unique Value Proposition. During the research phase, Jensen studied each competitor’s website and used the insights to develop his unique value proposition – which was to provide high-quality content that educates and helps his visitors make a buying decision. Use SEO to build a $50,000 per month business. Jensen wrote 3 articles a week for the first year and implemented SEO tactics as his primary traffic strategy. It helped him to go from zero to $50K per month in revenue. Grow your business by re-investing profits, not by putting more of your own money into the business. This part is the hardest to achieve, but also one of Jensen’s most important tips. If you can do this, you have a model for success. Google PPC (pay per click) to supercharge the business to the million dollar level. Some businesses make the mistake of starting out with paid ads like PPC from day 1. But Jensen dived into PPC only after using SEO to build a solid business first. By then he had improved conversion so that his PPC campaigns became profitable quickly. Customer Rewards and Email Marketing to generate $15,000 of monthly repeat orders. Jensen offered cash back rewards using RewardCamp and a monthly email deal to keep his customers coming back and buying from him. It added an extra $15K in monthly sales, with very little work. Invest in Trust Badges To Grow Conversion. Trust badges are effective at establishing credibility, which leads to trust, which leads to conversions. YouTube For The Triple Win – SEO, Traffic & Conversion. Jensen created YouTube videos about each of the products he sold from day 1. He also added these videos to each of the product pages. These videos not only brought in new traffic from YouTube and Google, but they also helped with conversion.